New formulation for general compost making including leaves and grass. 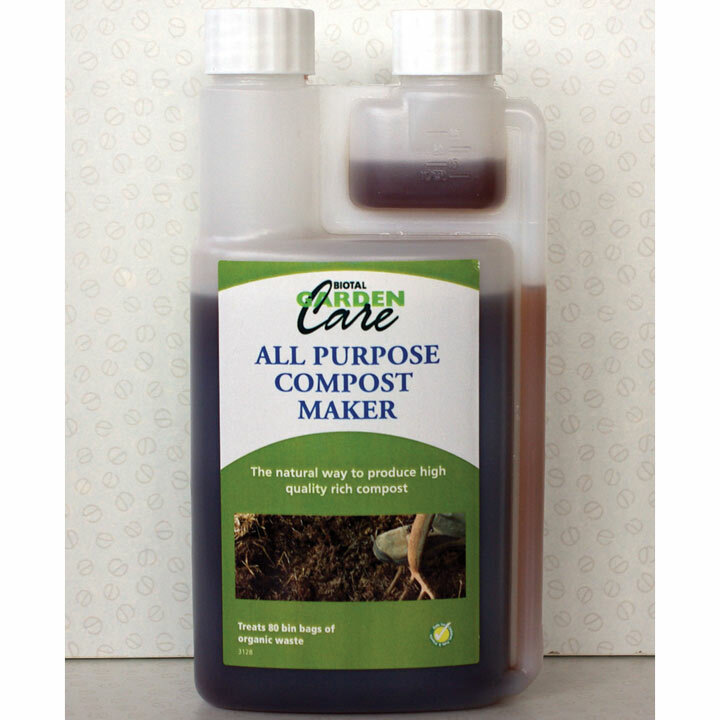 Based on the microbes, enzymes and fungi essential to the composting process. 500ml bottle with measuring feature for 10ml per watering can of water. Treats up to the equivalent of 80 bin bags of waste.